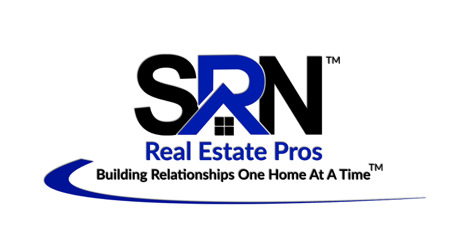 Opportunity Knocking! 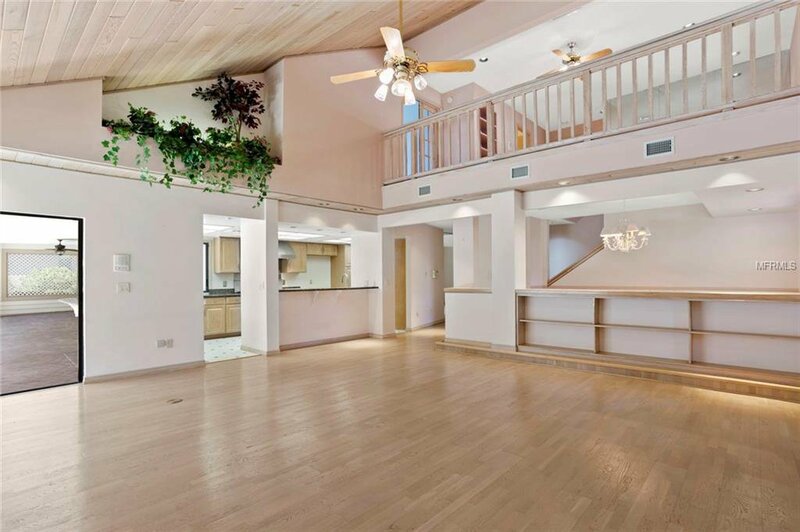 2-story home located on a 16,840 sqft lot on Shoreline a mature tree lined street walking distance of the Cobb's Landing marina & community park - basketball, 2 tennis courts & playground. 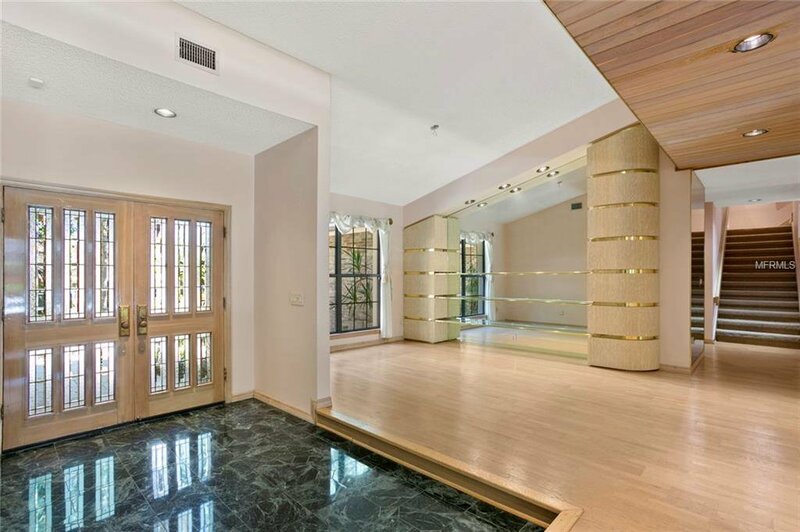 Leaded glass French doors open to the marble foyer. 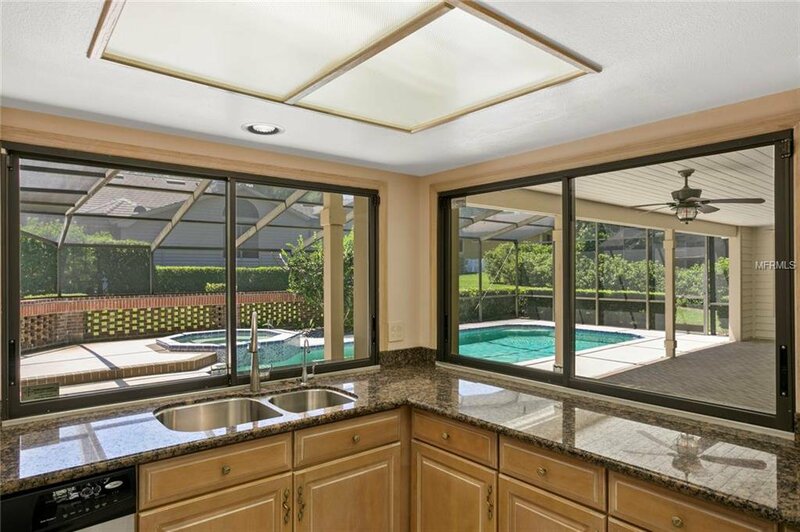 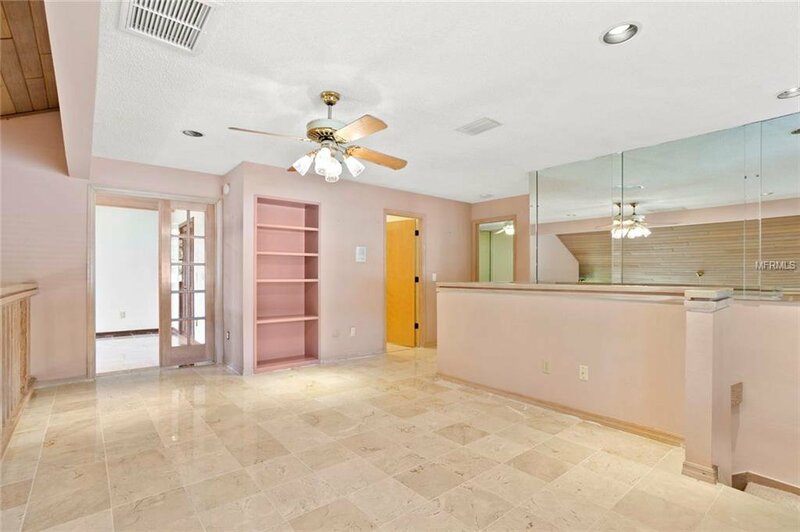 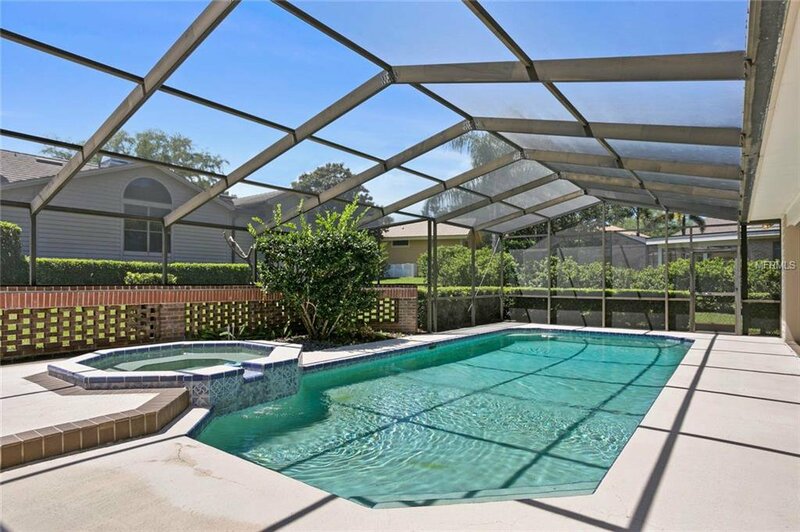 Step up into the carpeted formal dining room 2x glass sliders open to the screen enclosed lanai & pool with gas heated spa & newly remodeled outdoor grill, 2 new remote ceiling fans. 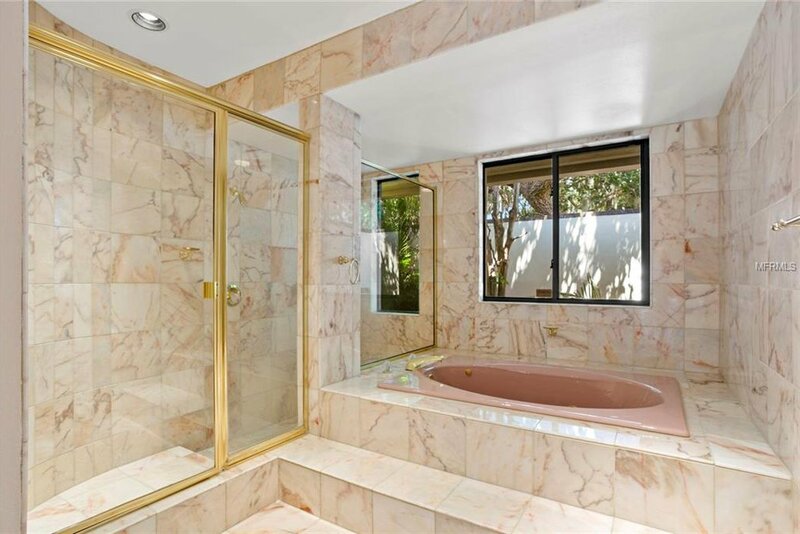 Outdoor full bathroom with shower! 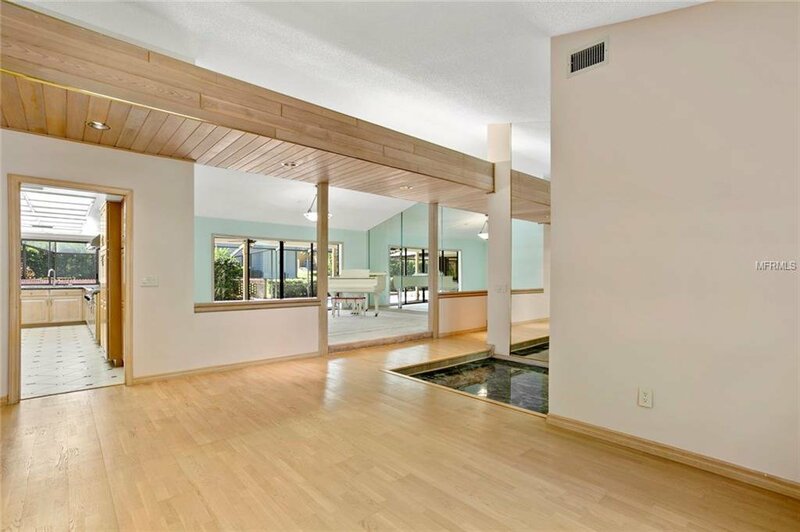 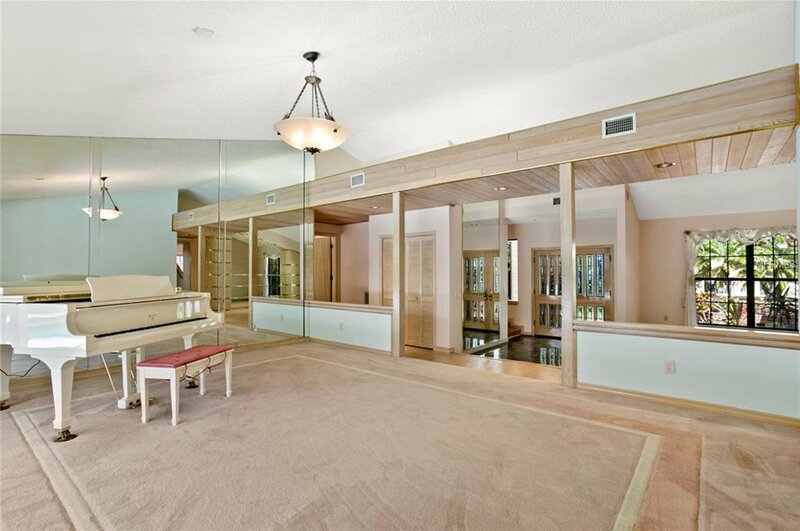 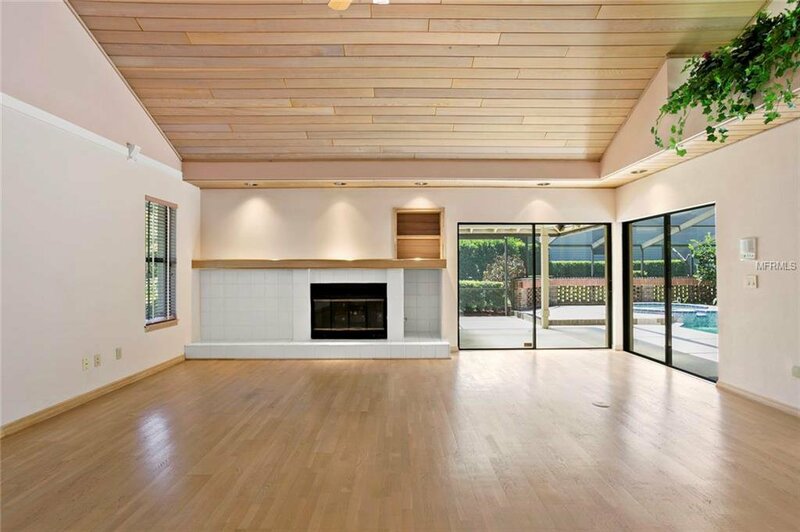 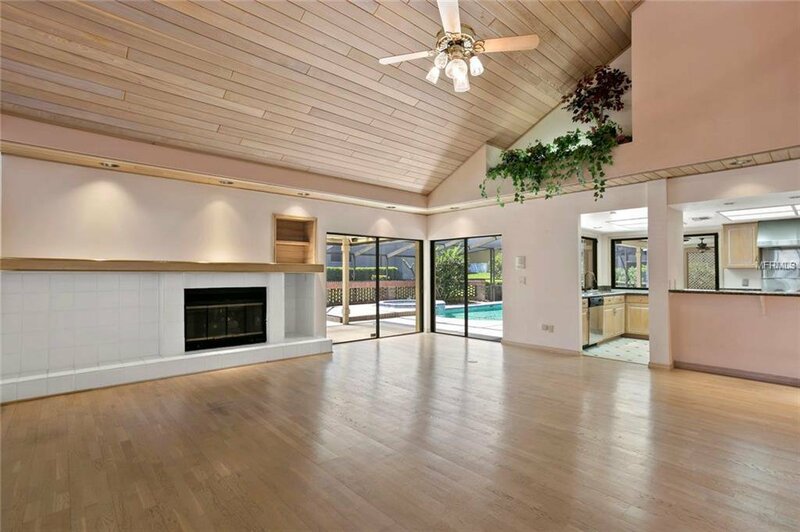 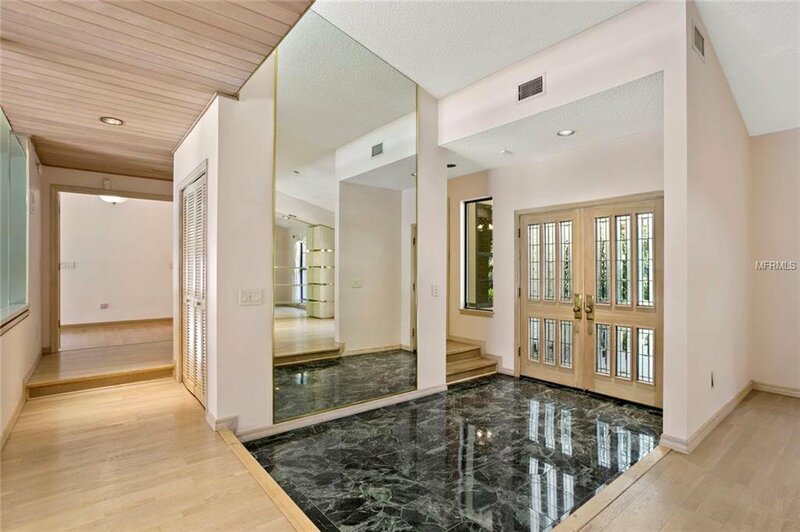 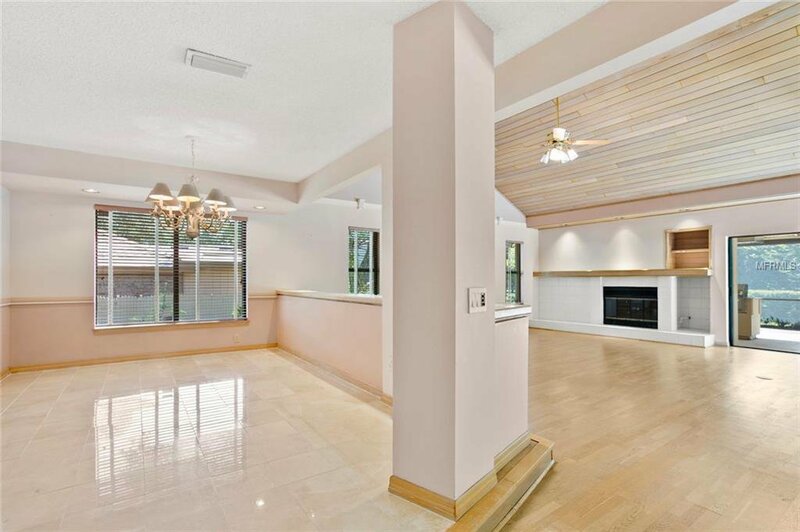 The wood floor cathedral ceiling dining room has mirrored walls and glass shelving perfect for entertaining! 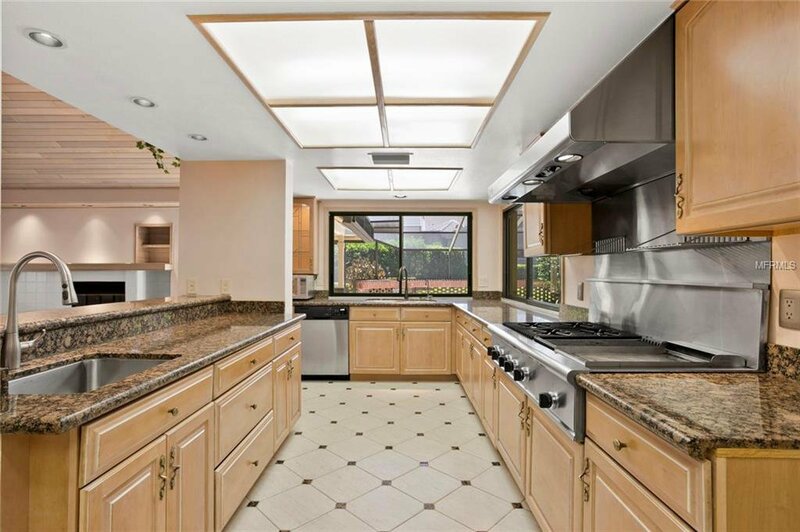 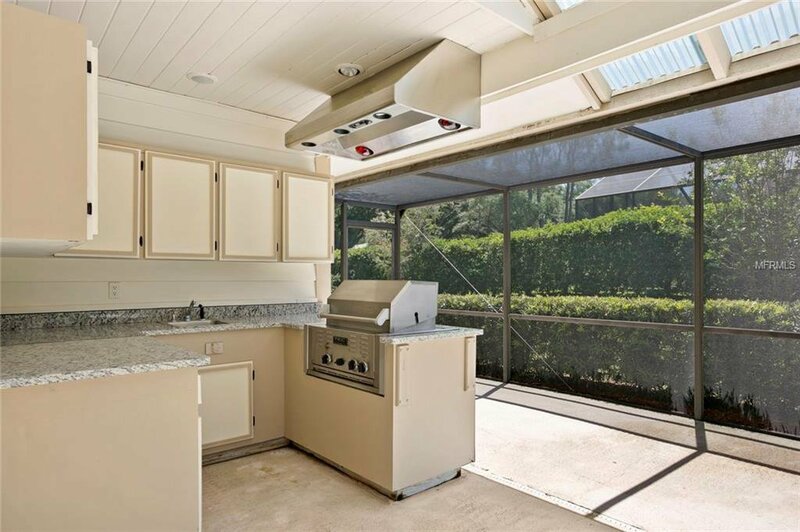 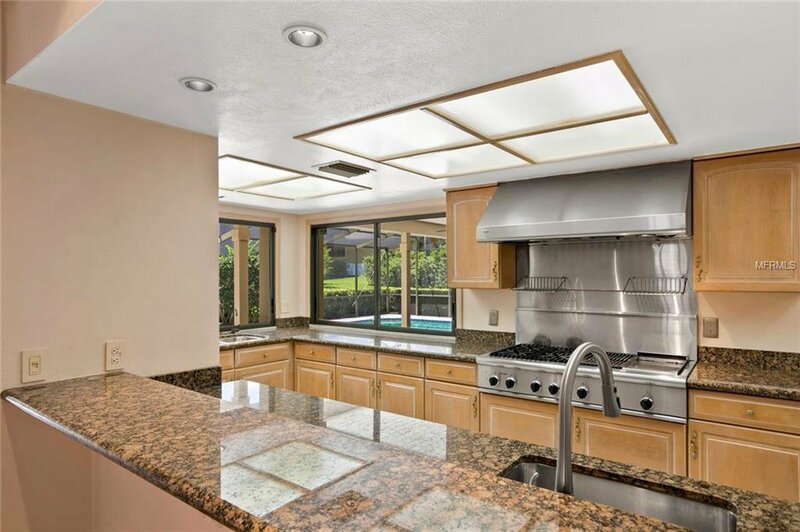 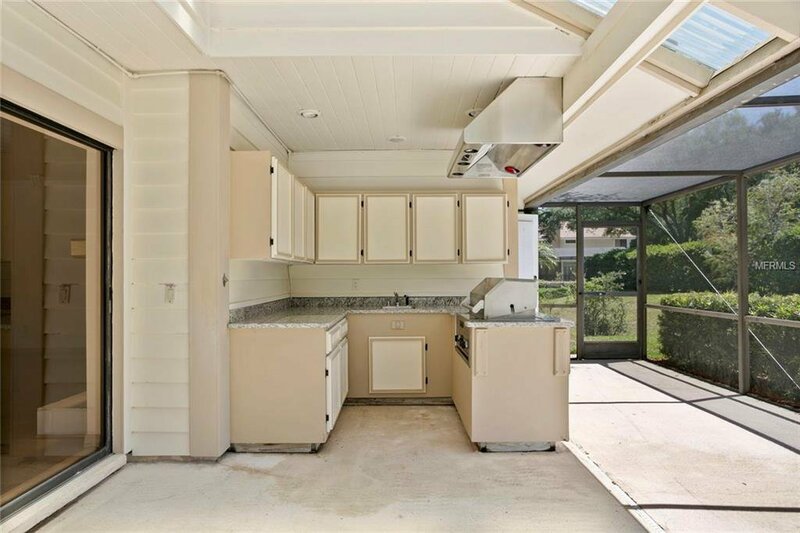 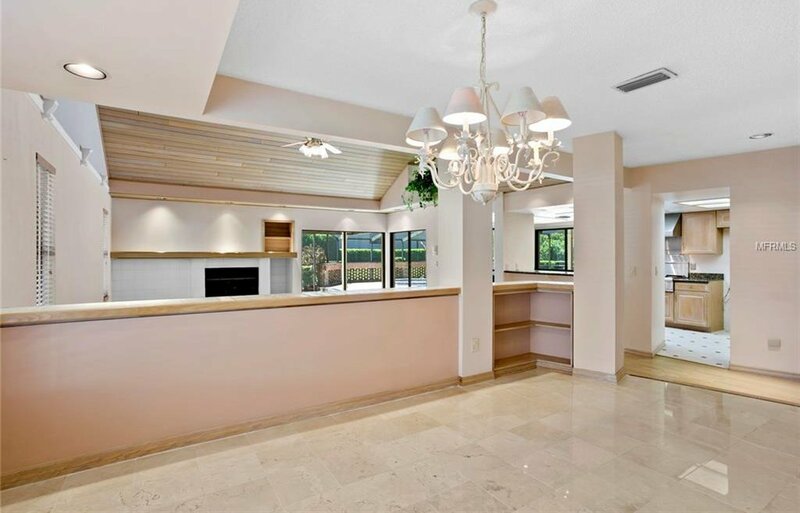 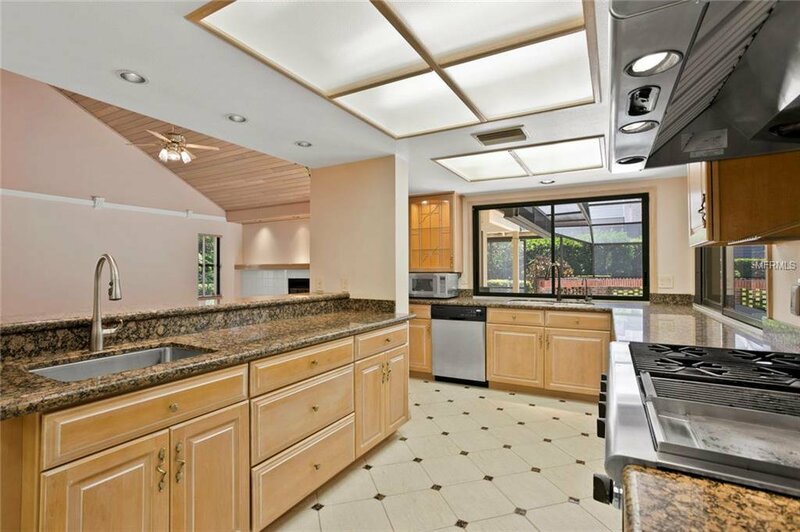 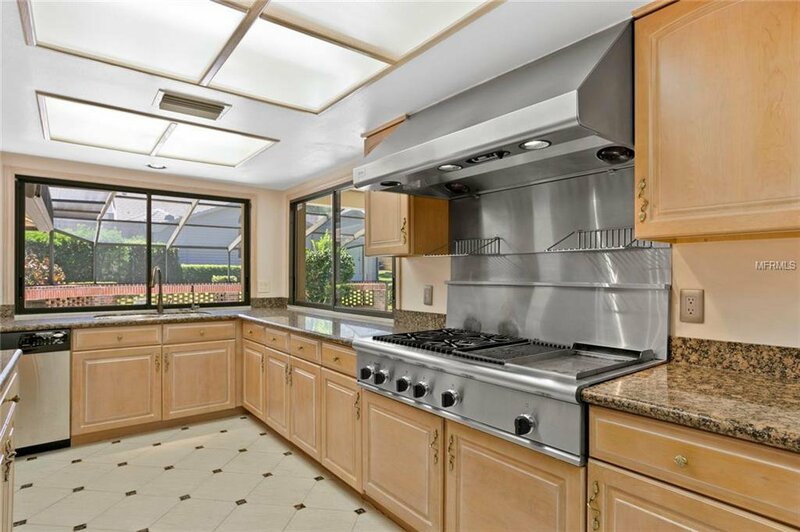 Chef's kitchen: wood cabinetry, granite top, Thermador 4-burner gas range with griddle, center island snack bar, pass through window to the pool patio. 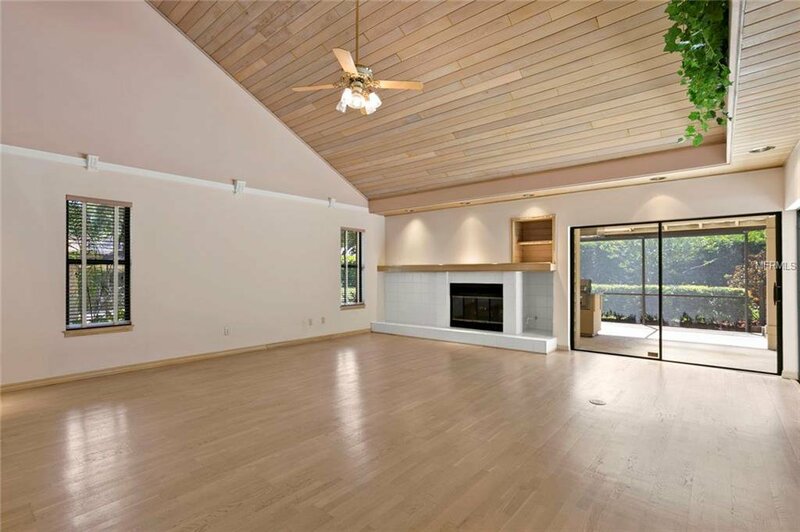 Family room with its cathedral ceiling & gas fireplace has a v-groove ceiling detail! 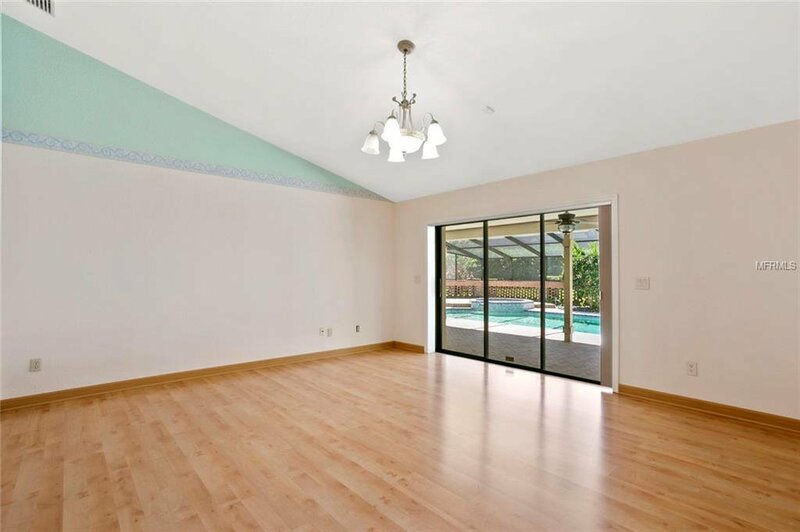 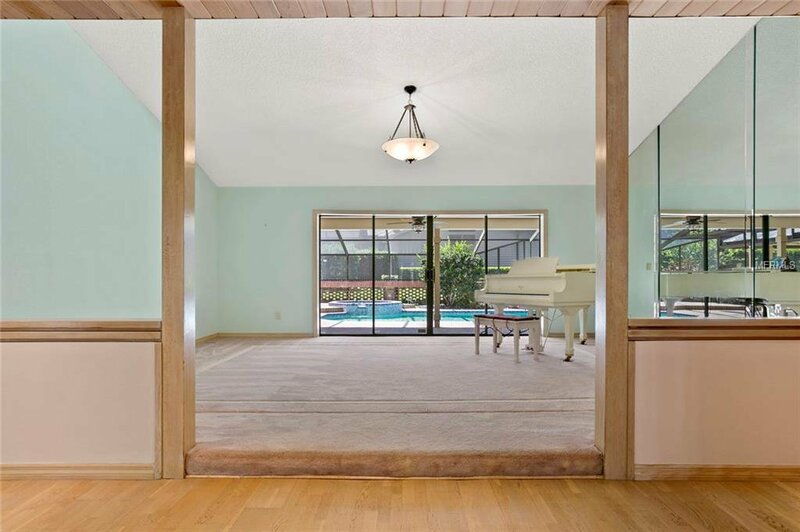 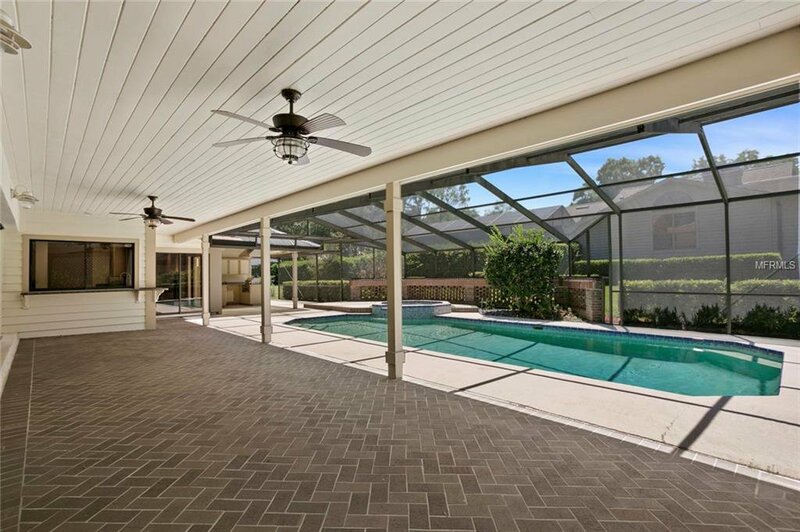 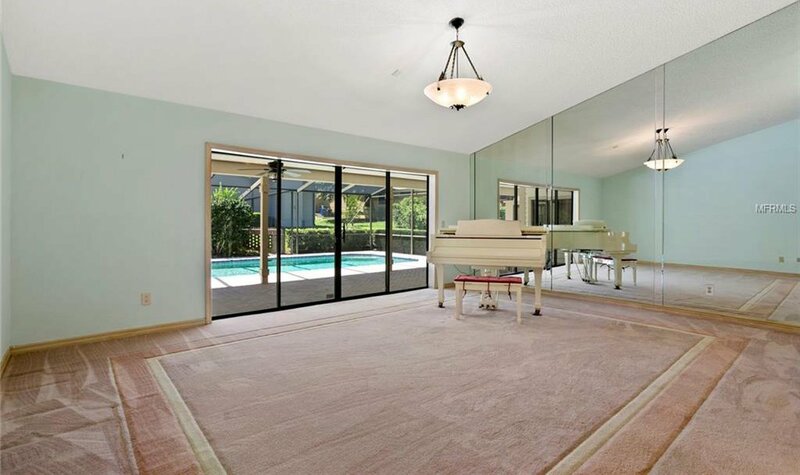 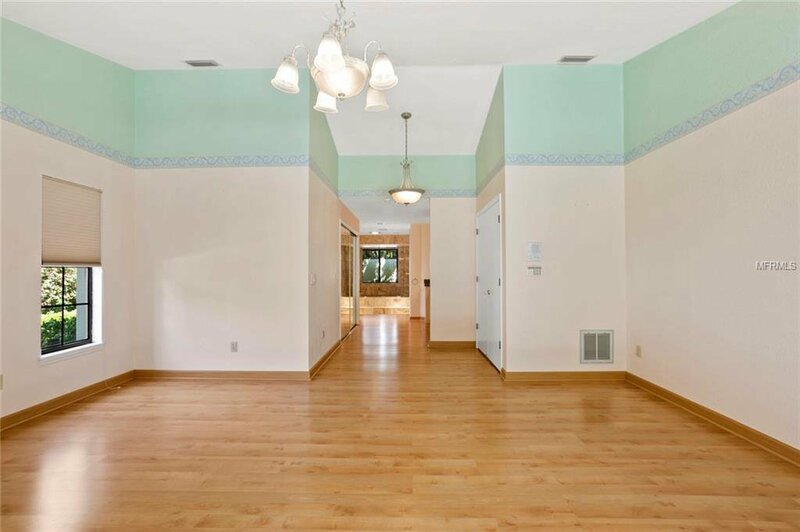 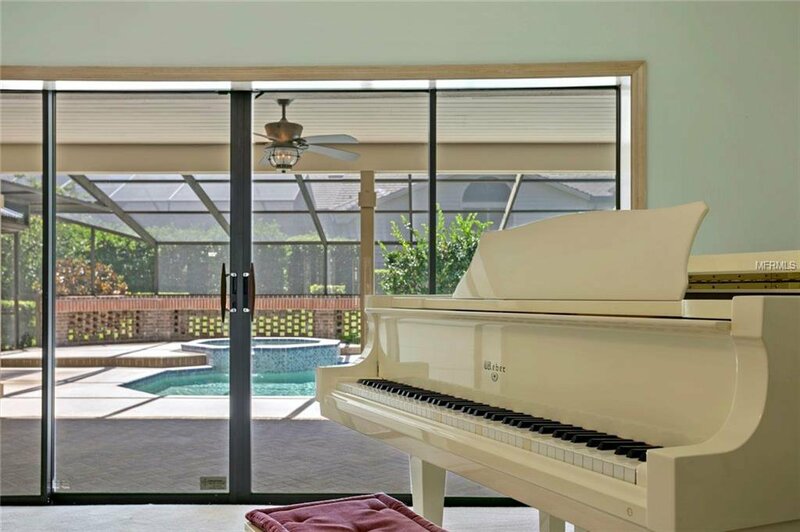 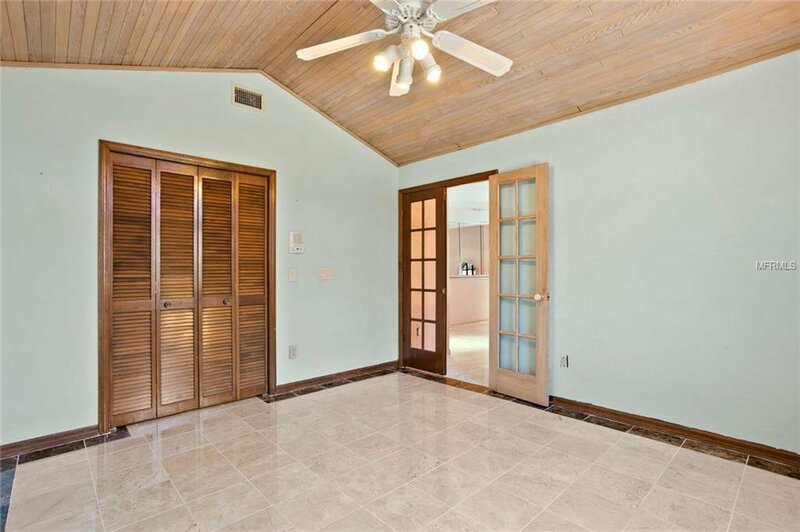 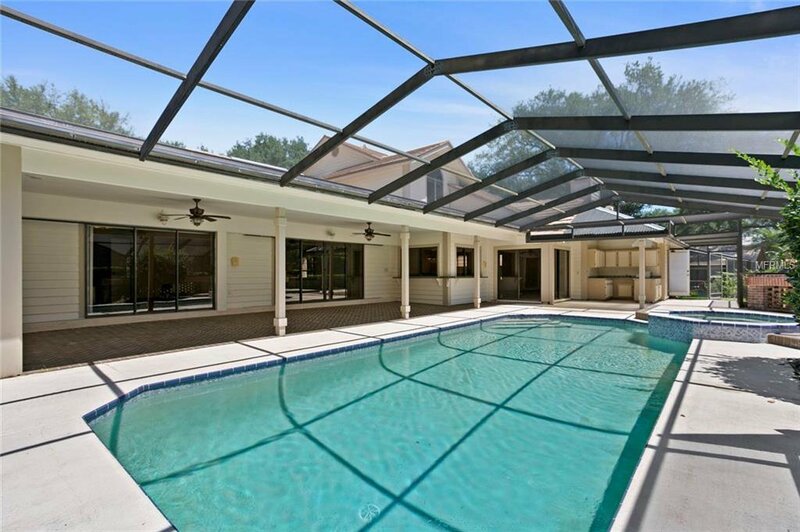 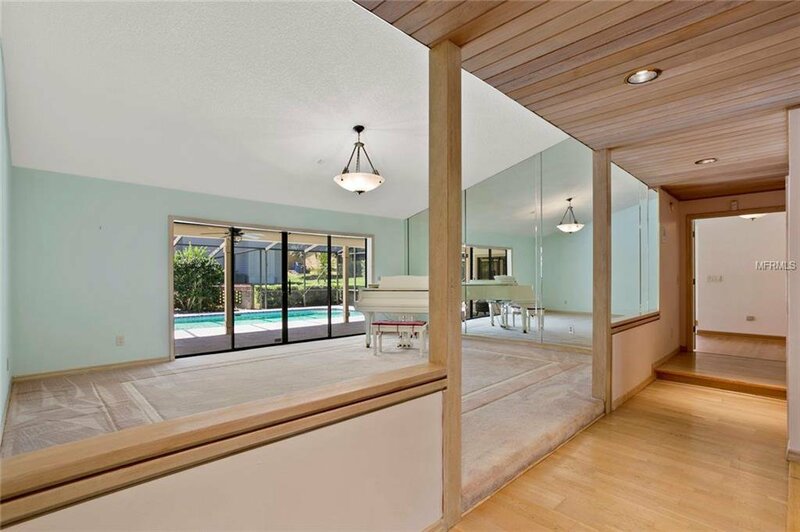 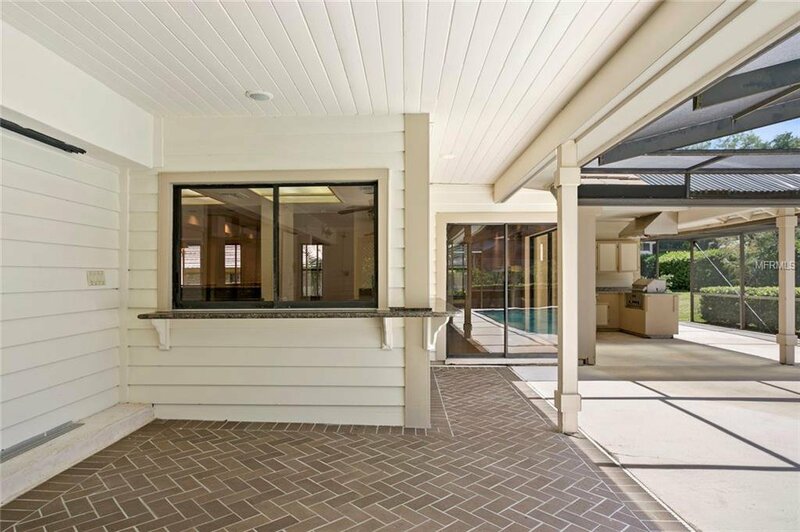 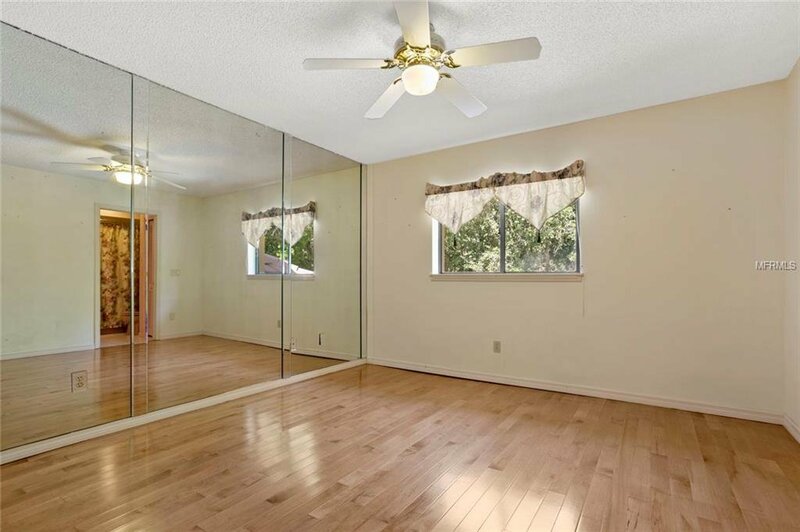 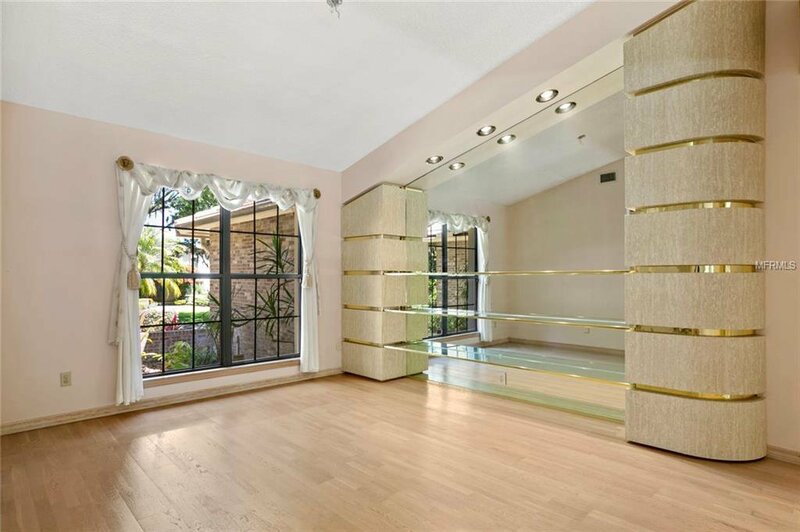 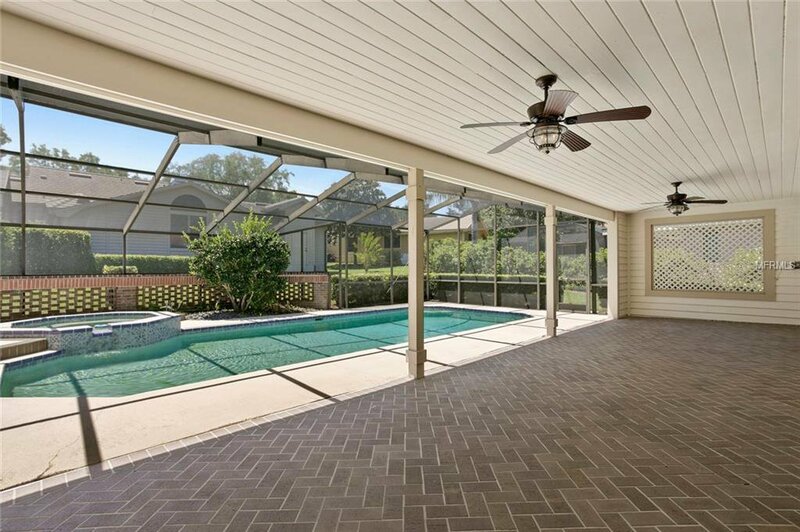 French doors open into the first floor master bedroom cathedral ceilings, laminate floors, 3x glass sliders to pool. 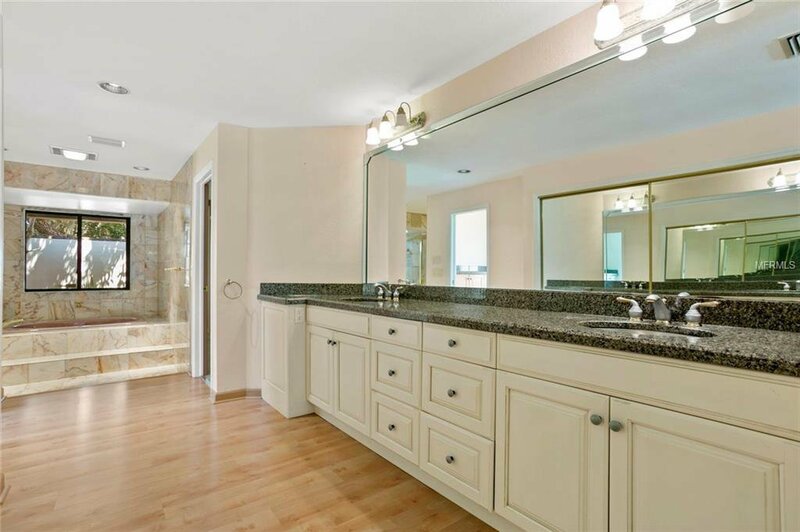 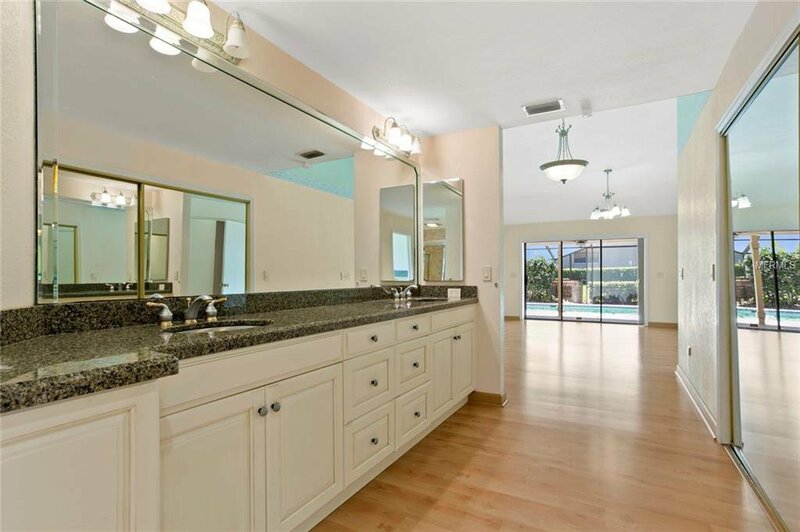 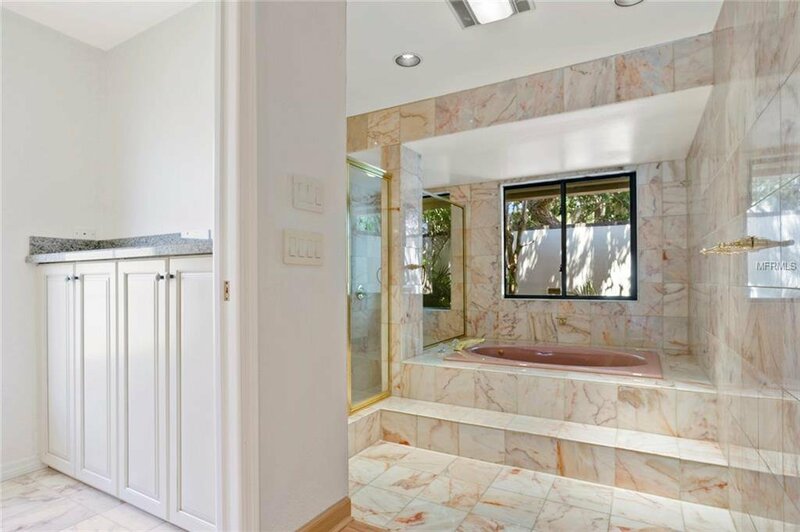 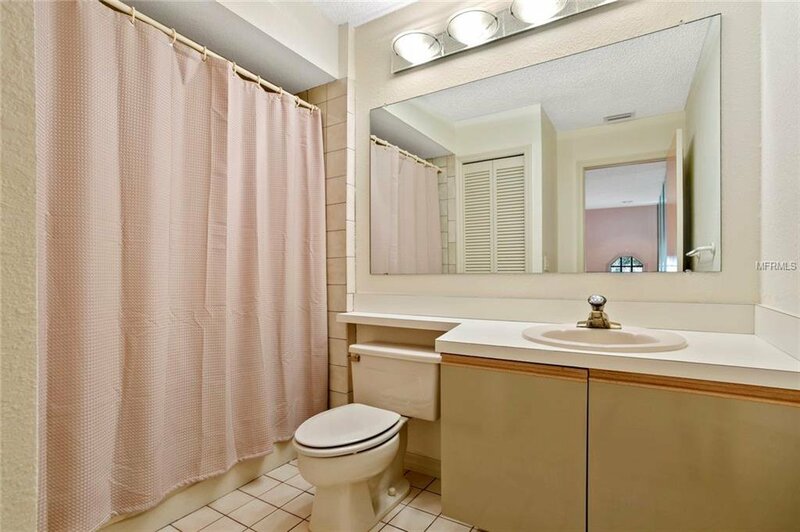 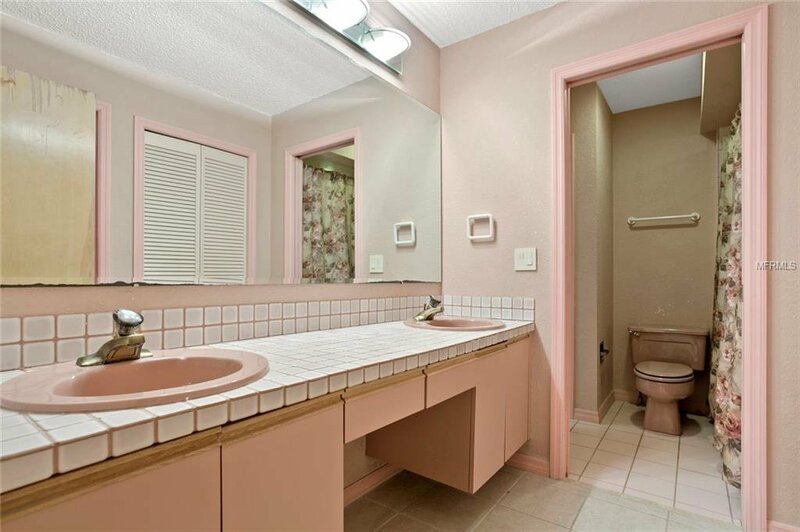 The master bathroom 2-sink vanity, wood cabinets, granite tops, marble floors tub, glass door walk-in shower. 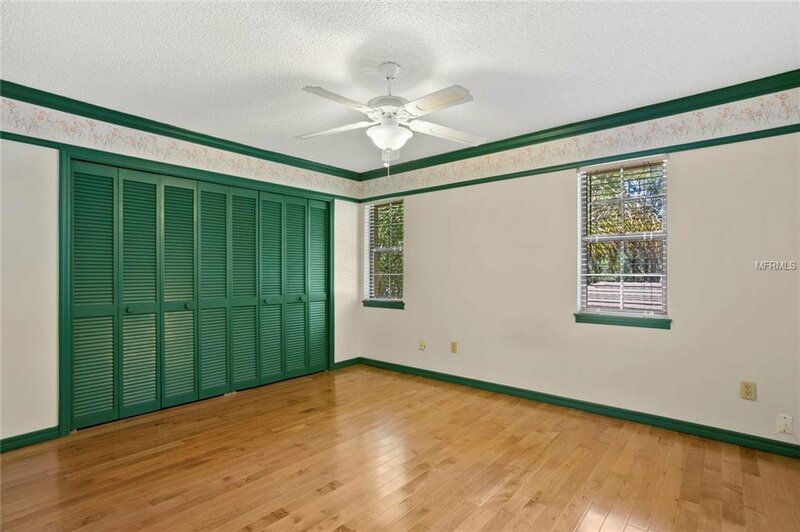 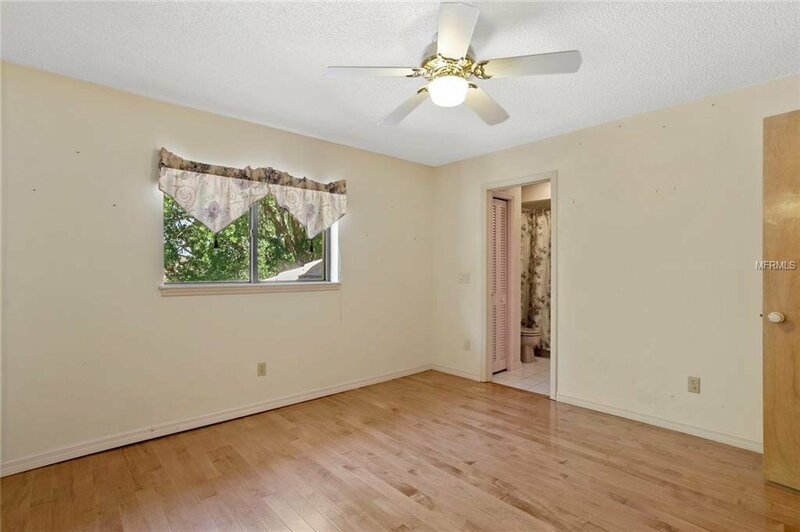 The adjacent den is perfect for a nursery and/or 5th bedroom. 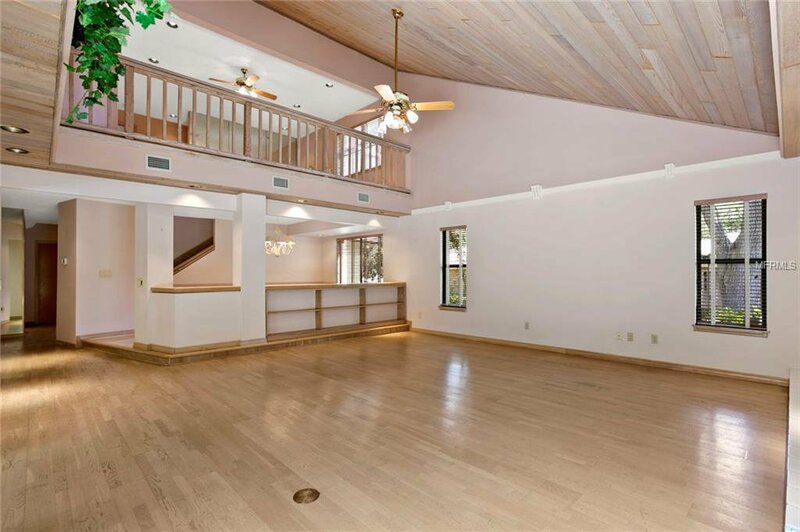 Second floor loft overlooks the grand family room! 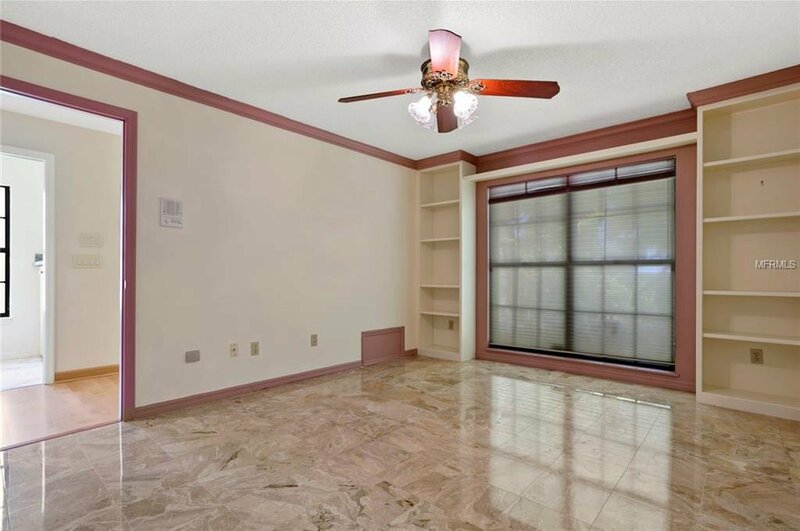 Each additional bedrooms have closet & fan. 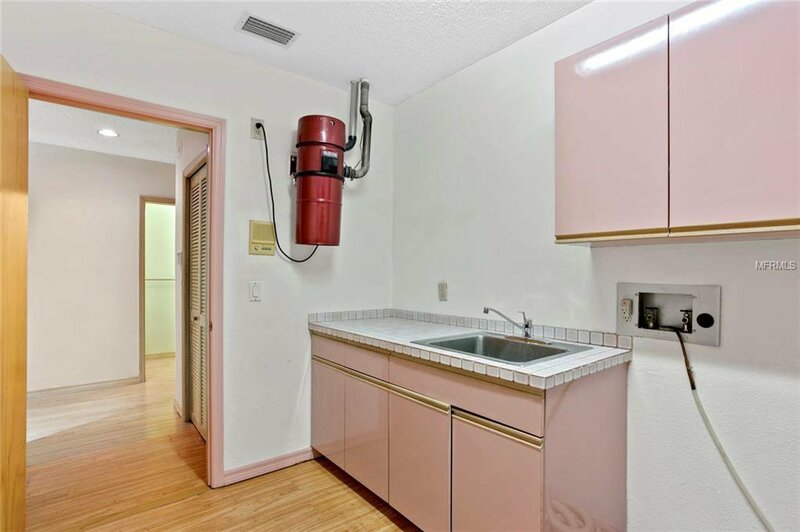 Interior laundry, central vacuum, utility sink, storage. 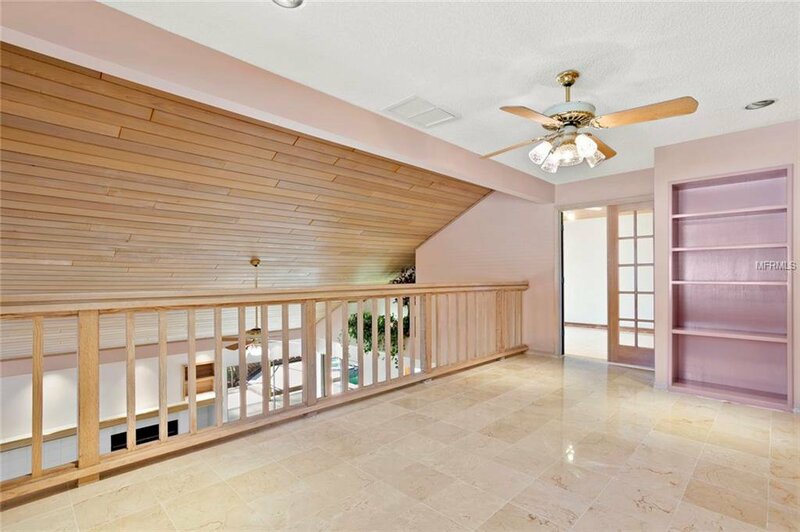 A/C 2013, Roof 2008. 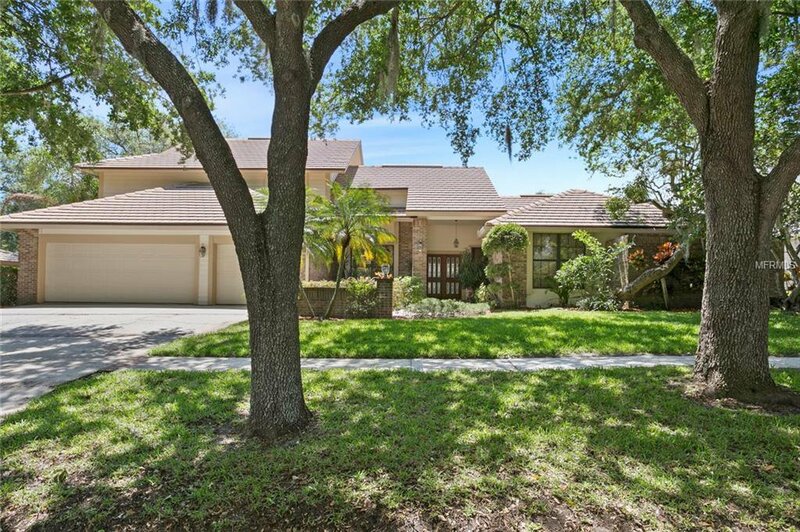 Zoned Palm Harbor University High.